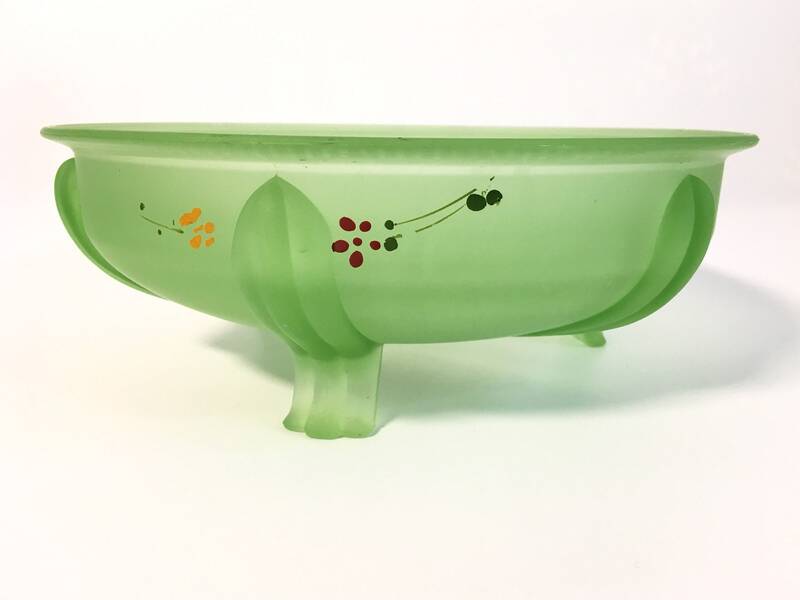 Beautiful green uranium or vaseline glass bowl that has dainty pairs of red and yellow flowers with thin stems painted in three places on the outside of this bowl. 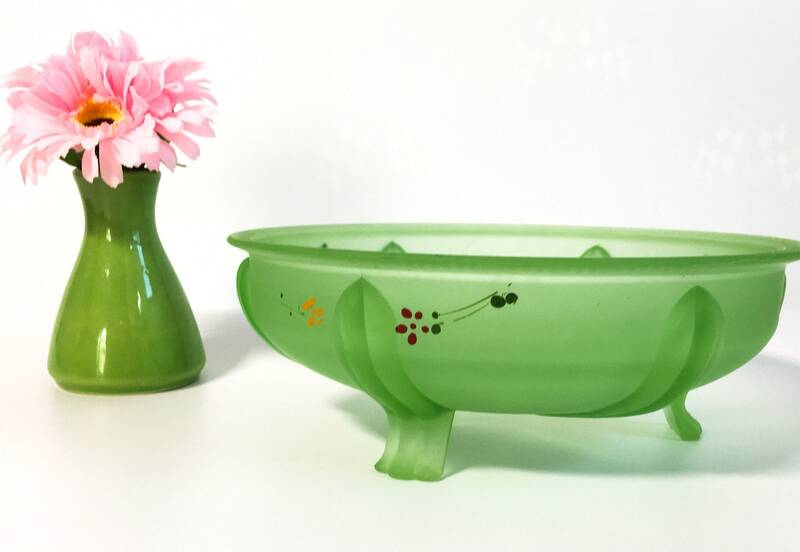 The bowl has three pedestal feet that have three little ribs on them. 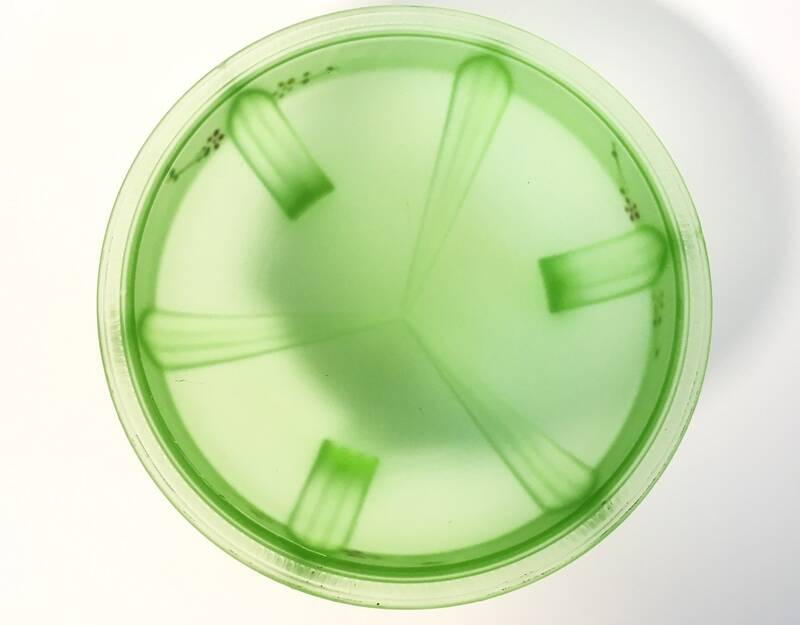 Between these three tri-leafed feet, there are three side ribs that come from the rim of the bowl and meet in the bottom center. 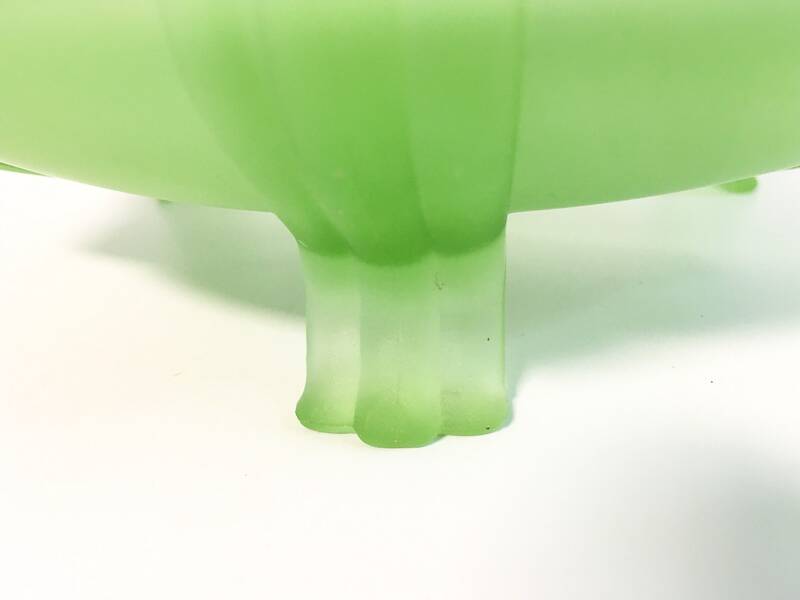 The top portion of these three ribs look that same as where the pedestal feet are attached, but they are not feet - they are just decorative ridges. The top rim has a beaded textured pattern all around it. 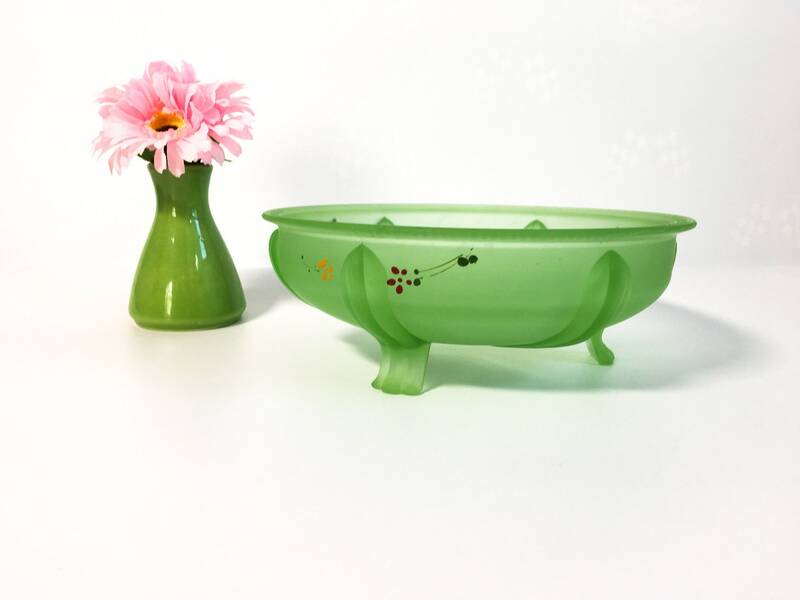 This 1940s era bowl or centerpiece has a satin glass finish and glows bright green under a blue light typical of uranium or vaseline glass. The bowl is approx. 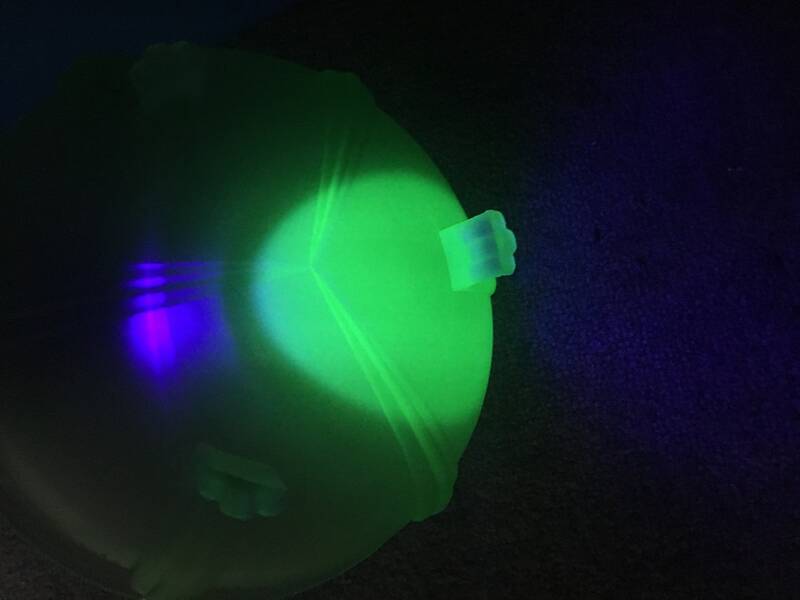 8 1/2" in diameter. It is about 3" high. In nice vintage condition with no cracks. 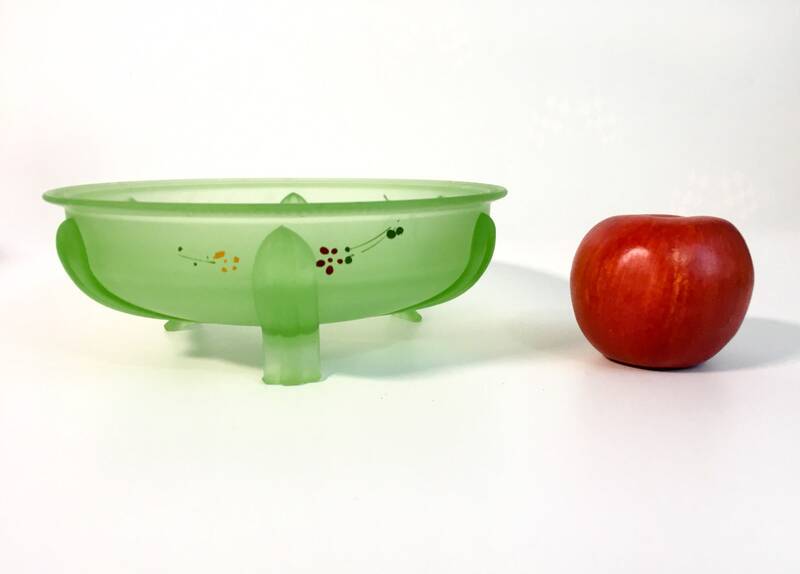 On the underside of the rim near the 2 of the seams, there is a chip that can be seen when the bowl is upside down. Some wear and roughness along the top inner rim that can be felt when running a finger along it. Price reflects these conditions. 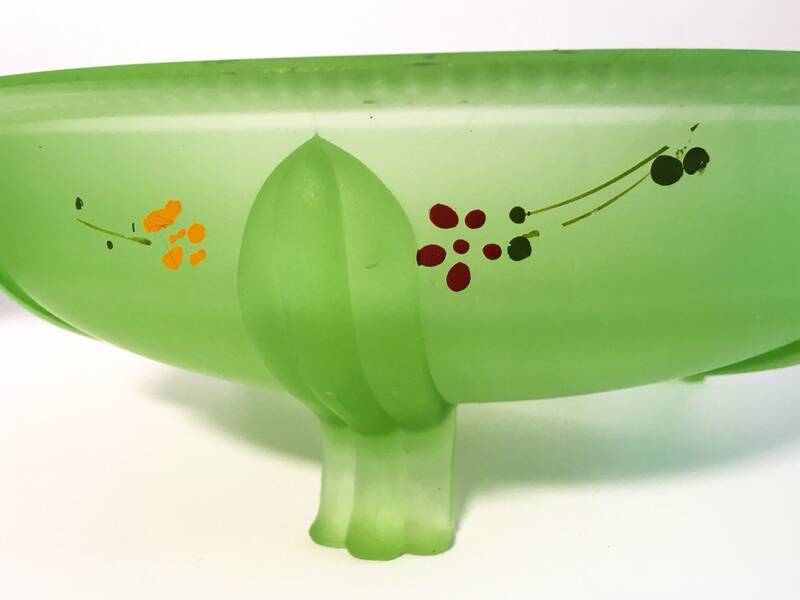 Vaseline glass was produced from the 1840s through World War I, and was popular from the 1880s on. Production was curtailed when the availability of uranium was reduced to most industries from about the 1940s to 1990s. 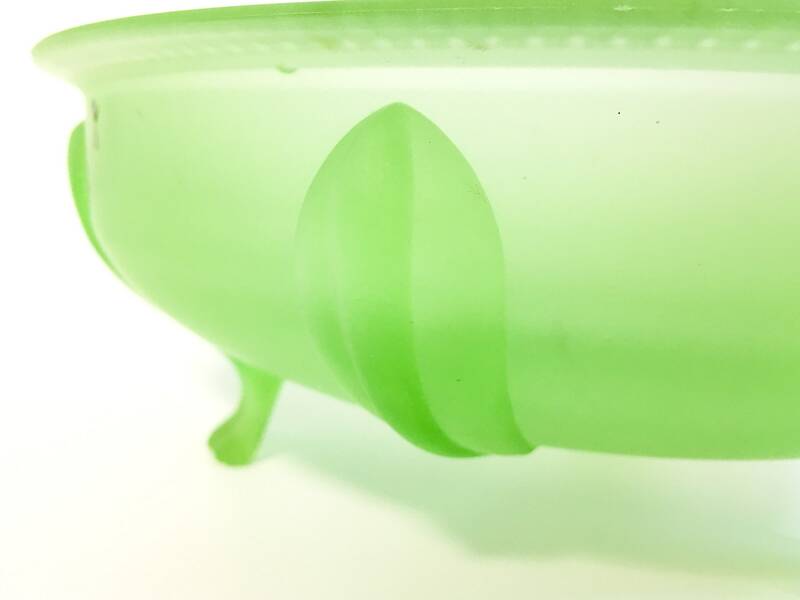 Uranium glass had uranium added to a glass mix before melting to make its color.